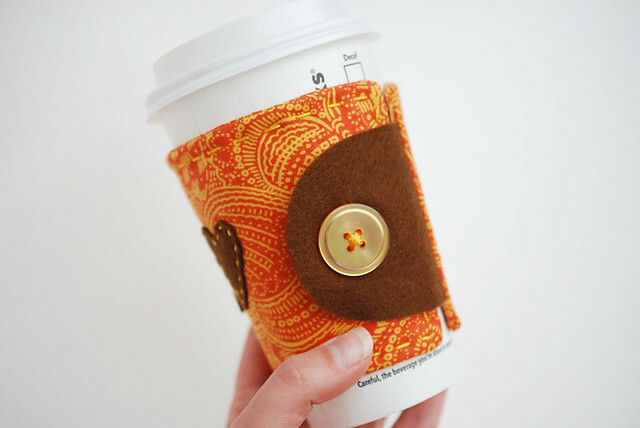 If you're devoted to Pumpkin Spice Lattes, you need a cup cozy that shows that love. 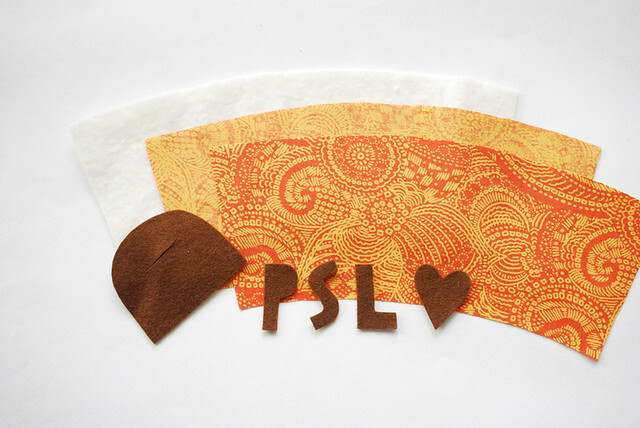 (You didn't expect me to have a month of PSL posts without a cup cozy, did you?) I've made a bunch of cozies over time, but this is the first that I've put together like this, and it's the largest I've made too. A tall cozy for a grande latte? Yes. 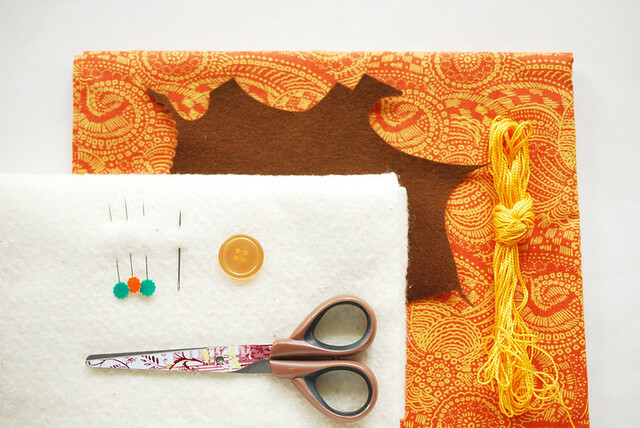 Cut out the template pieces, then cut out two cozy shapes from fabric and one from batting. 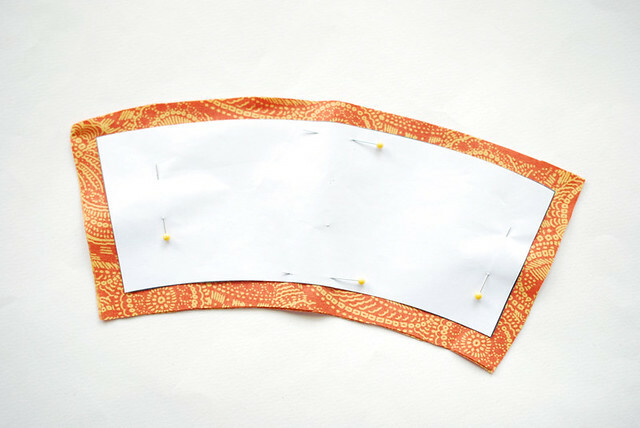 An important note: Normally my templates include a seam allowance, but in this case, it doesn't. 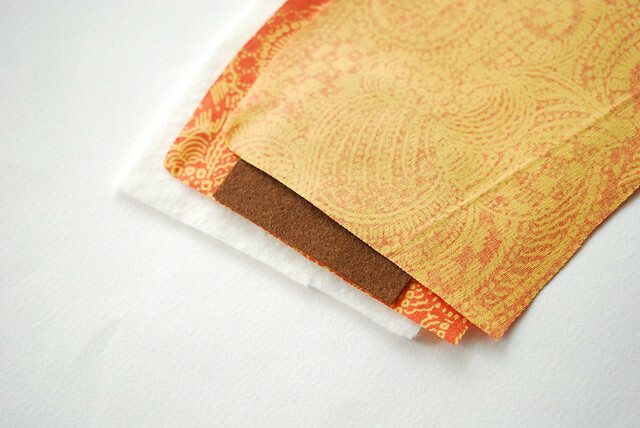 So, when you cut out the fabric, add 1/4" to each side. 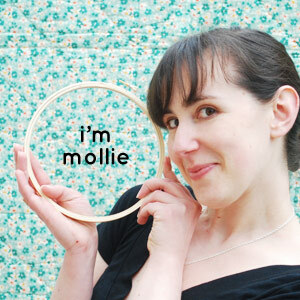 You'll also need to cut out the letters, heart and button flap from felt. Layer the pieces of the cozy as shown: batting, fabric (right side up), button flap at one end, fabric (wrong side up). The layers should be lined up with edges all matching. Pin the layers well. 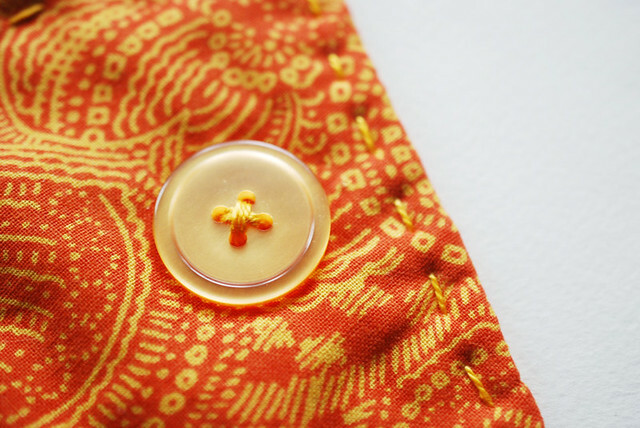 Sew around the cozy with a 1/4" seam allowance and leave the end opposite of the button flap open. 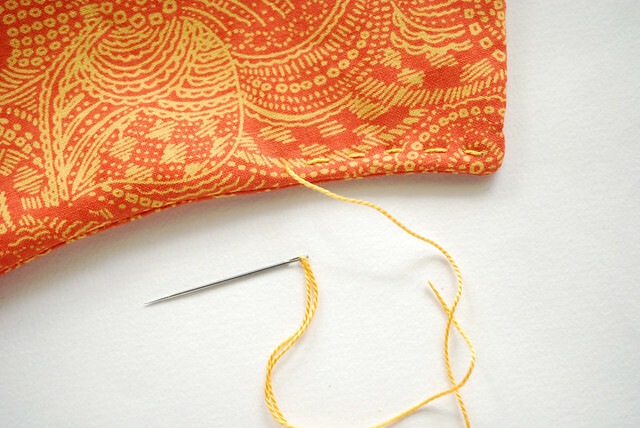 Be sure to back stitch at the start and end, and when you're done, clip the corners. To cut down on bulky seams, you may want to trim away some of the batting around the edge. 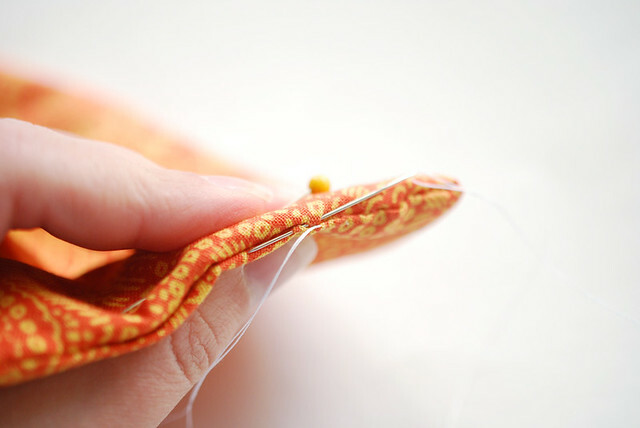 Trim close to the stitching without cutting the stitches. 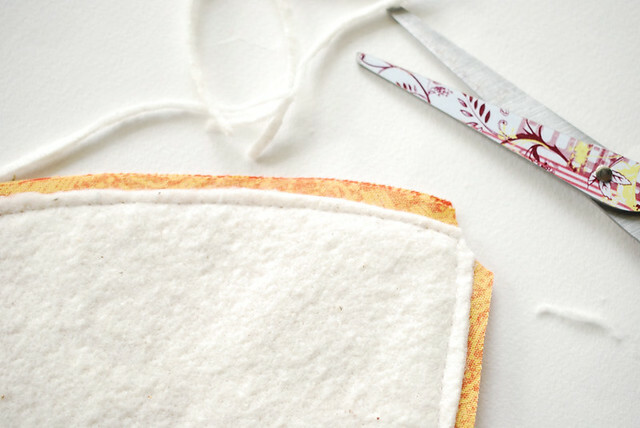 Turn the cozy right side out, then ladder stitch the opening closed. 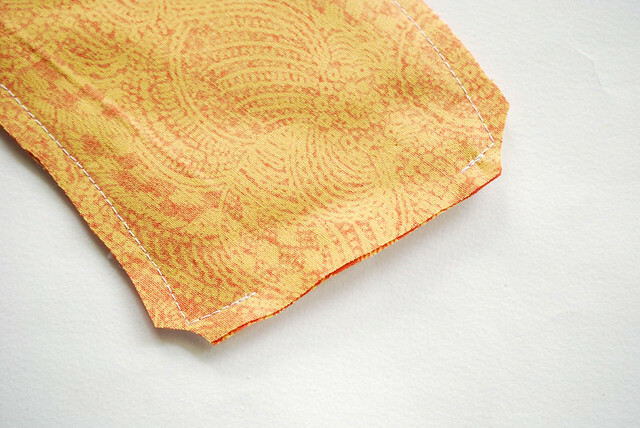 Using perle cotton, stitch around the edge of the entire cup cozy with running stitch. 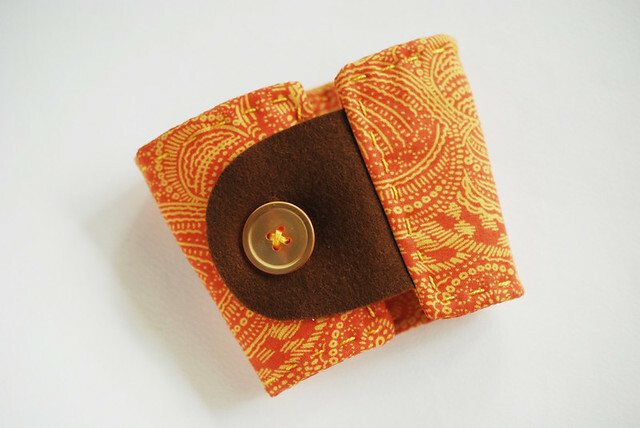 Now, I can try to tell you exactly how and where to place the button and cut the button hole, but the safest way to do this is to wrap your cozy around a cup. 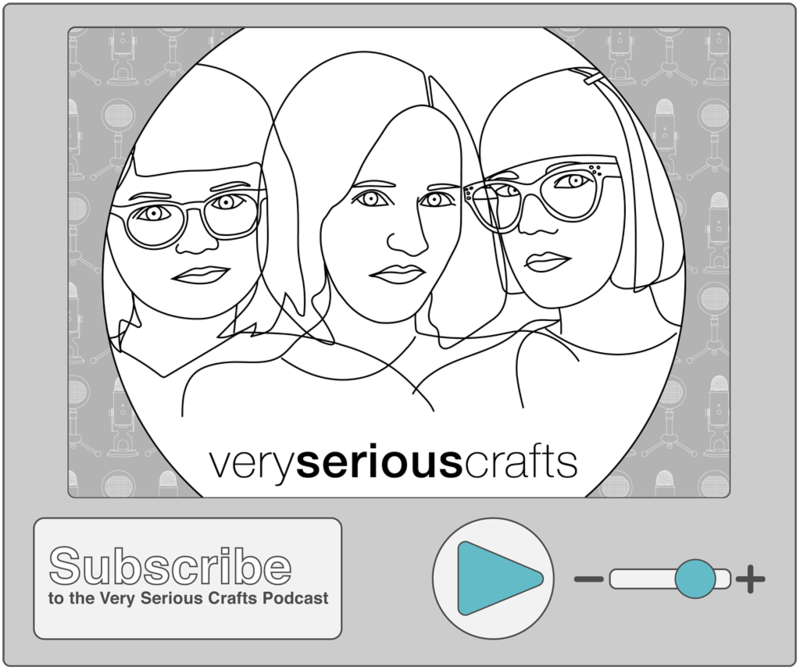 This is especially good for making sure it fits your size of choice. Mark where to place the button, sew it on, then cut a slit in the felt button flap. 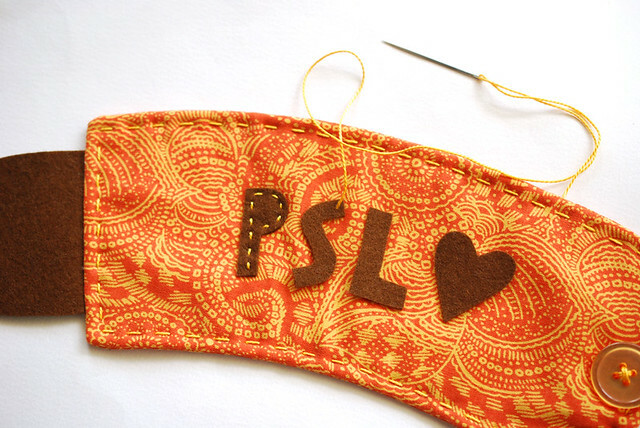 Sew the letters and heart onto the cozy using running stitch and perle cotton. 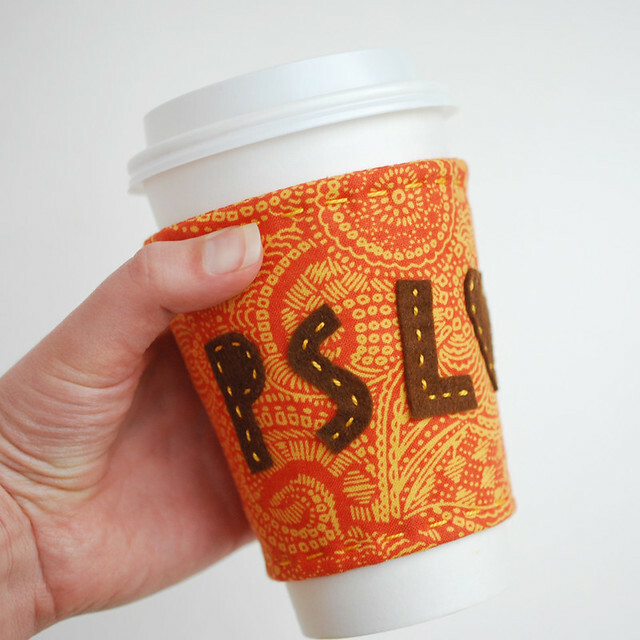 Slide your cup cozy onto your PSL and keep your hands protected as you sip! Love this cup holder... The ones in Starbucks and such places never prevent your hands from burning very well. adorable. I will need to make one for my daughter and cousin who drink them all the time. 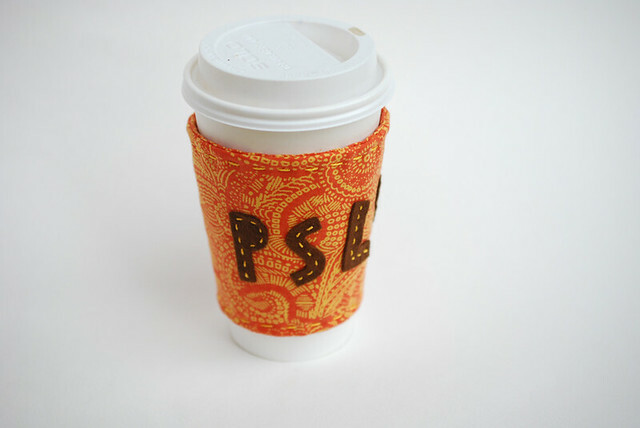 I'm not a fan of the PSL, but love this cup cozy design! 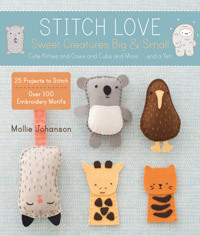 I may have to make a few of these for Christmas gifts with various embellishments on them :) Too cute! 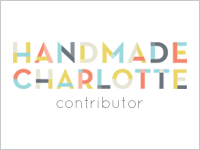 Beautiful and functional -- love it. 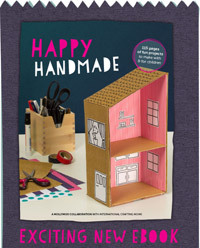 I just added this to my holiday "to do" list!